Check out the reopened Senior Salon. A great place to show off your blog posts and meet some amazing new bloggers. Linkup will Start: March 19, 2018, 02:00 am and Ends: March 23, 2018, 8:00 pm PDT (Pacific Daylight Time). This is me some days!! Thanks for this Lynn. What´s in Store for 2017? It´s day 3 of the New Year and time to post my goals for 2017. We never know what´s in store for us as a new year begins but by setting some goals, I believe I can make it a good year. 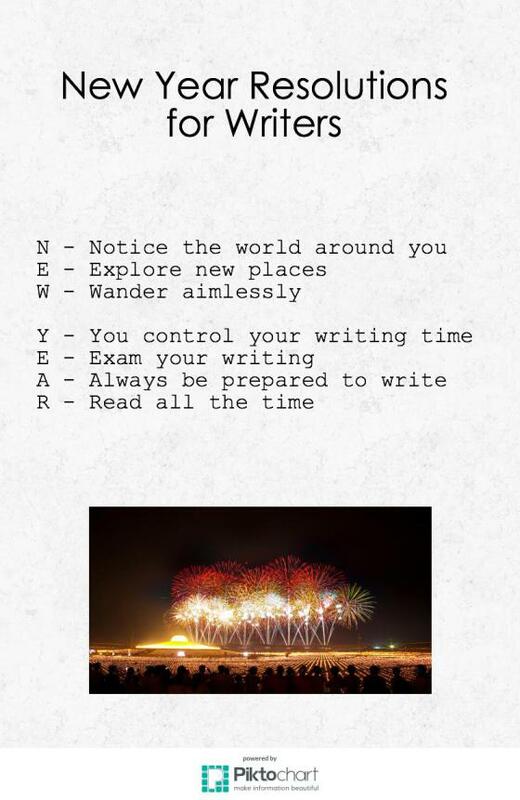 First I want to share this great list of New Years Resolutions for Writers I found on Lynn Thaler´s blogsite. Thanks, Lynn. These are perfect!! 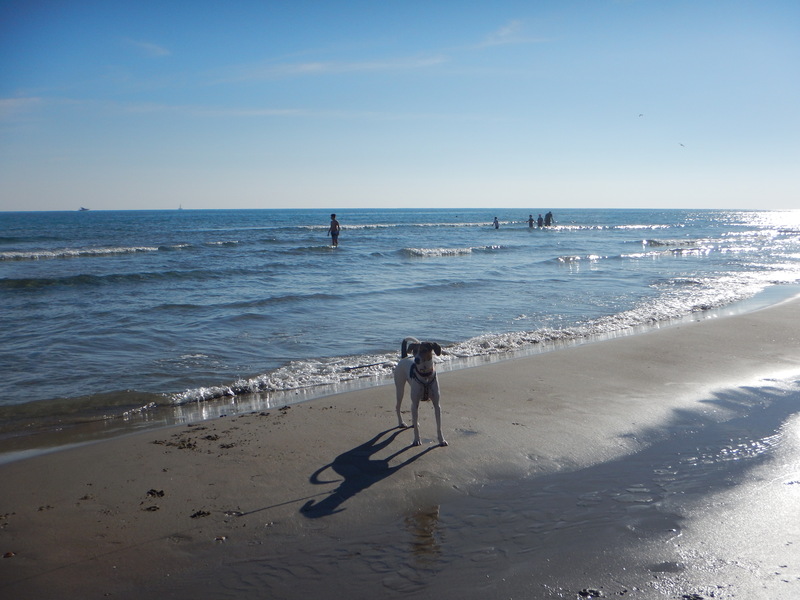 Check out Lynn´s blog as she writes some great posts, especially about her four dogs! Over at It´s Just Life, Beth Ann challenges her readers to chose 3 words to focus on this year. I decided my three words for 2017 will be: kindness, strength and curiosity. I feel they will help me achieve my goals.This month Beth Ann will donate five cents to the American Society for the Prevention of Cruelty to Animals® for every comment made on her site. A cause after my own heart as our Dot was a rescue dog. Pop on over and make a comment or two. Her posts are fun and enlightening. Prepare Amanda in New Mexico – Ghosts in the Wind for publication in the fall of 2017. Explore places in Spain we haven´t been to before. Learn to use the new Samsung Tablet Santa delivered! Keep in touch with family and friends, including friends on social media. Wish me luck with these goals! I would love to read about yours. I hope you all welcomed the New Year with joyful spirits! We enjoyed welcoming the start of 2017 with our dog, eating our 12 grapes at midnight and watching fireworks from our terrace. 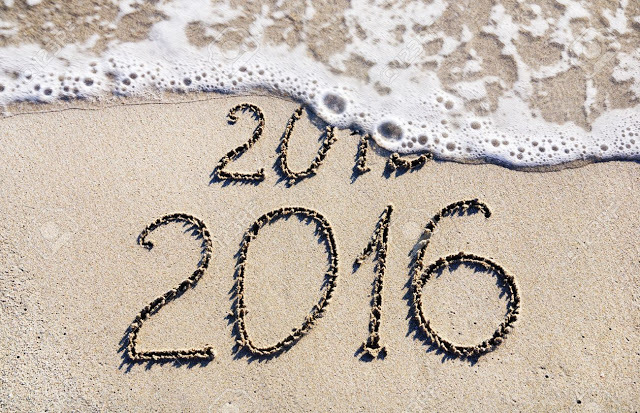 As always, now is the time for me to look at my goals for 2016 and see how I did. I just returned from a successful launch in Canada of Amanda on the Danube – The Sounds of Music. I am so happy with this book and hope the readers will enjoy this adventure through a beautiful part of the world! I just finished Amanda in New Mexico – Ghosts in the Wind and hope to have it published by, October 1, 2017. Yes, I did change the sub-title. These things happen as you go along with the writing. I did a lot of promoting of all my books but still feel I could do more. I did 4 presentations in Spanish bookstores last year. Have not connected with any schools yet. I saw a lot of Spain and attended many cultural events. Of course, there is still much more to see and do. I made a trip to Holland and France last year. England will be soon. I have made some wonderful friends here in Spain. I also just recently found a writers group that meets every week. I am so excited about that and have been to a couple of meetings. Everyone has been very welcoming. This didn’t happen due to conflicting schedules but we will keep trying. I did read more and learned how to read in the pool during the hot summer! Need to work on this but seem to be communicating fine with my Spanish friends. Thanks to the many blogs filled with writing information, I feel I have learned a lot. I am enjoying this lifestyle very much. I have learned not to get upset when things don´t happen as fast as I would like. We got a dog, which wasn’t on the list, and now I go for many walks. This has worked out well. I even Skype on a regular basis with my 88-year-old mother. I have been sending postcards of the area I live in, to my great granddaughters. They tell me they love them. I have promoted other writers on my blog and given assistance to writers whenever I can. 16. Be thankful for at least three things every day. This is now a habit. So much to be thankful for. I think I did quite well with my list, although there is always room for improvement. In the next few days, I will post my goals for 2017 as I look forward to things that have never been. Whether you wrote them down or not, I hope some of your goals for 2016 were met. Or maybe a dream you didn´t know you had, came true! The best thing about 2016 was getting our dog and I didn’t even know I wanted one. In ancient Roman myth, Janus was the god of gates, doors and beginnings. January, was named after Janus in 700 BC. Having two faces, one looking back into the past and one looking forward to the future, he was an appropriate deity to dedicate the first month of the New Year to. As I look back over the past year I like to revisit the goals I set out on January 1 to see how I did, and share them with you. How did I do? We bought a place in Spain and feel quite settled. Amanda on the Danube -The Sounds of Music is completed and in the hands of the publisher! It should be out mid 2016. I am working on this one, have found a couple of markets but need to find more. I am pleased to say Pig on Trial has been published as a bi-lingual book for kids. I have met a couple of writers here in Spain but would like to connect with many more so will continue to work on this one. Oh dear. I haven´t learned much Spanish at all. So many people in my area speak English including the Spanish folks. I have picked up some phrases but not enough to carry a conversation. Need to work harder on this one. I did do this and feel so much better! I did this too and have seen so many parts of this fascinating and diverse country. It is a great place to explore! I´ve made a few new friends and hope to make many more. It takes time. I have been very diligent in keeping in touch with old friends. Thanks to social media this is easier than it used to be. I was fortunate to be able to go back home twice last year to see family and friends! I didn´t join a yoga studio but have been doing yoga every morning at home, so I feel this is a yes. I do write everyday. This has become a habit. 15. Embrace change and look for surprises!! I believe I have embraced change this past year, and there has been plenty. Thank heaven I love surprises as there have been many of them too! You can´t move continents without experiencing changes and a multitude of surprises. It wasn´t always easy, but I learned so much and am glad I did it. 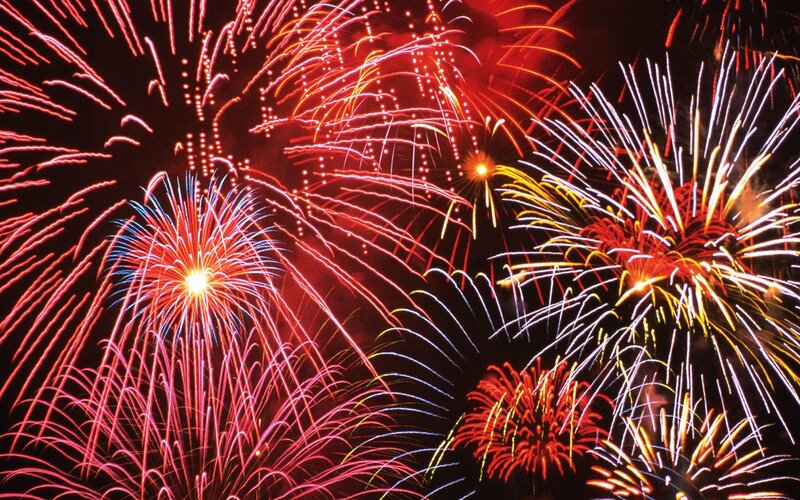 As this year comes to a close, I wish you all a very Happy New Year with many welcome surprises. In the next post I will look forward.